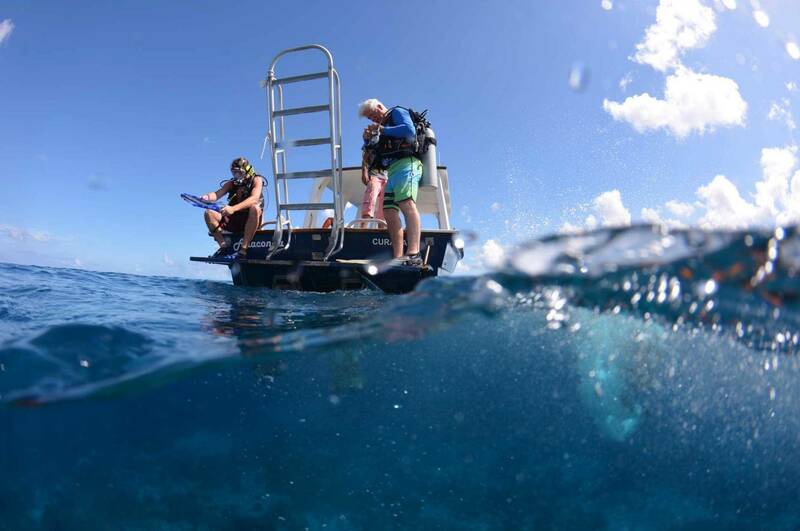 With our comfortable boat we explore daily many dive sites that can not (or hardly) be reached from shore. Expect to see stunning coral reefs with a large variety of reef fish, turtles, lobsters, rays and other creatures. Our comfortable boat has plenty of shade and is equipped with an AED, Emergency Oxygen, First Aid Kit and Life vest. During these trips you will get to see a great variety of dive sites that you can not (or hardly) reach from shore. Some popular examples are: Seldom Reef, Withces Kitchen, Light Tower and Shon Mosa.